About a week before viewing this uneven flick concerning the exploitation of senior citizens hosting a bachelor party (in Las Vegas, where else), I saw its four stars (check that, four Oscar winners) promoting their film on a high end news station (The TODAY show I believe). They looked grumpy and didn't really want to be there. But I thought to myself, maybe these guys aren't too confident about the product they are selling and they're just you know, going through the motions. I don't blame them. 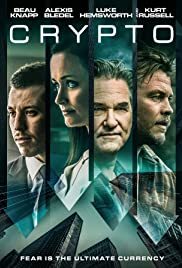 Besides the fact that this exercise becomes a tad darker and deeper emotionally toward its conclusion (the trailer is misleading), it's still disposable and somewhat hard to sit through. Last Vegas (the film I'm reviewing and talking about) brings together actors Robert De Niro, Kevin Kline, Morgan Freeman, and Michael Douglas. These guys are all screen legends and there are two reasons why they might have decided to appear in this individualistic cringe fest. One reason could be that they had never been on screen before and the opportunity although mediocre, presented itself. Another reason could be that they got paid handsomely. Anyway you slice it, they dent their reputations as actors ever so slightly. In the end, I think considering each of their track records, it's commonplace that they'll probably recover. I did as a critic but only after "Vegas" was almost saved by a solemn, feasible second half. There is some moral cleansing between a father and son along with a believable love triangle that lends itself to a 58 year (you heard right) friendship. Yes, this movie boasts itself as a comedy. However, it fails as one with jokes that are bland, lightweight, and familiar. And the overall theme got annoying as well (they're old, we get it). The fact that Last Vegas changes gears (by becoming mildly dramatic) almost makes it recommendable. I heavily stress the "almost" part. Containing a scene which almost caused me to walk out of the multiplex (the four 70+ plus year olds judge a bikini contest poolside) and directed by a guy who furthered Nicolas Cage's action star career with the National Treasure movies, Last Vegas examines four best friends (since childhood) who have somewhat grown apart and live in different parts of the country. When Malibu hotshot Billy (played by slickster Michael Douglas who in almost everything he's in, has to get with a woman half his age) decides to get engaged, he calls his buddies to get together in Las Vegas for the typical male debauchery. Paddy (played by Robert De Niro who is in just about every movie out in 2013) is a widower who lives alone in New Jersey. Then there's Morgan Freeman's character Archie, who had a mild stroke and is being taken care of by his overbearing son. Finally, we have Florida resident Sam. He's played by Kevin Kline who with shades of his comedic brilliance in the past, gives the flick's strongest performance. Kline's character has been given the OK to cheat on his wife (by his wife) so he enthusiastically tags along. Last Vegas, despite what you might have heard from other critics, didn't remind me of The Hangover (not in the slightest expect for the whole location aspect). That film was outrageously funny and edgy. Plus, there isn't much of a sense of danger going on here like there was with the characters in The Hangover. "Vegas," with its automated sense of situational comedy, made me chuckle a couple of times here and there. But in a way, it wasn't that amusing because the jokes were constantly aimed at the adage of old age. The filmmakers seemed to want to shovel this notion down my throat. After a while, I was a little put off and felt internally bloated (no pun intended). Honestly, I can name a ton of films that are worse than Last Vegas. But there's gotta be something more challenging or more rewarding than this considering the talent involved. Its strong points: the title (Last Vegas just roles off the tongue, why not), the cast, and the somewhat interesting premise taken to task. Its weak points: the way this vehicle stereotypes people of a certain age, the jokes that fall flat more than 50% of the time, and the fact that all the funny parts happen to be in the trailer (I'm sure it was a blatant marketing tool to get people into the theater). 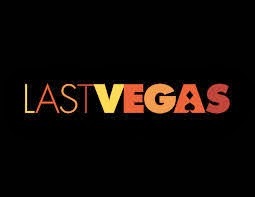 So to end this review, I'll leave you, the movie goer, with this piece of sage advice: if you choose to attend a showing of Last Vegas, make sure that it's not the "last" time you'll hit the theater in 2013 (that's a nice way of saying that there are other, better films out there).